The winning photo submitted by Jodi Bieber, South Africa. 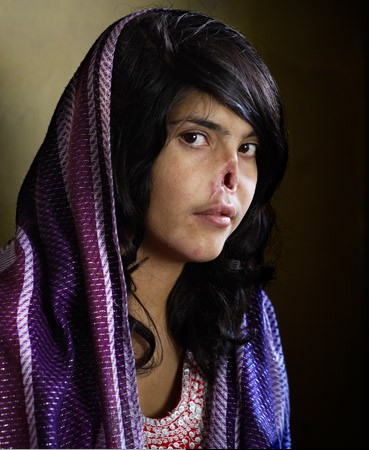 The photo features Bibi Aisha who was disfigured for fleeing from her husband’s home in Kabul, Afganistan. 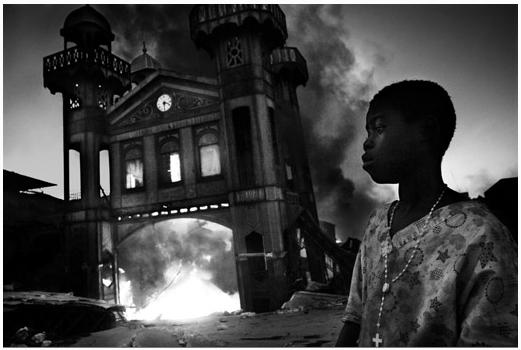 The photo by Riccardo Venturi, Italy, features the burning of an iron market at Port-au-Prince, Haiti. World Press Photo, founded in 1955, is an independent organisation headed in Amsterdam, Netherlands. This contest is one of the most prestigious events held by the group annually. Drawing entries from almost every country, the gallery of winning photos strangely throw a different light on the much publicised events of the year, revealing the raw emotion in them. 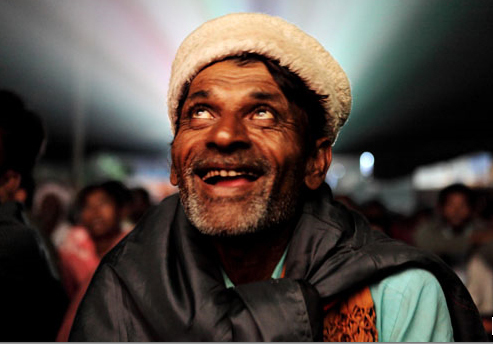 The winning entry in the Arts & Entertainment section, submitted by Amit Madheshiya, India. 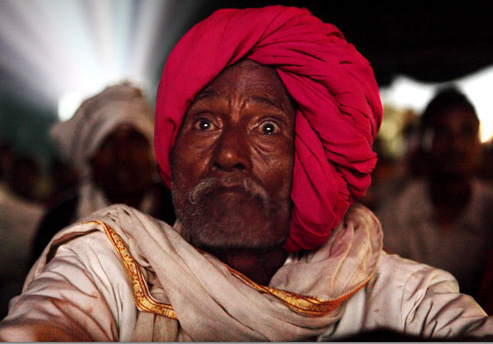 The photograph features an old man enjoying a night screening at a traveling cinema. More from the series by Amit Madheshiya. The following photograph was submitted in the Daily Life category by Malte Jager, Germany. It features a group of couch-surfers packed at a Brooklyn loft. The following photograph was submitted by Ed Kashi, USA, in the category of Contemporary Issues. 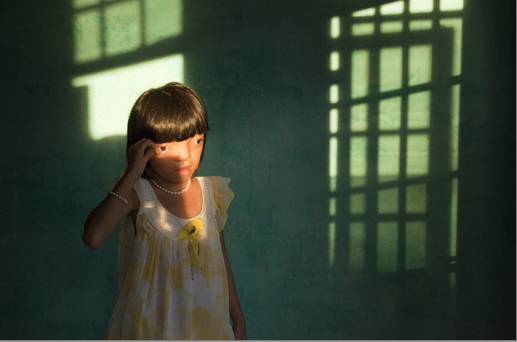 It features a young Vietnamese girl of 9 years who suffers from Agent Orange disabilities. If you are hungry for more of the brilliant winning entries, do take a look at the World Press Photo winners’ gallery.